Now we need to look at why plastic is so bad for our environment and us. At last we have cottoned on to the fact that plastic is causing unprecedented environmental problems and harbours serious health risks. Every part of the lifetime of plastic leads to environmental pollution. The manufacture of plastic, as well as its destruction by incineration, pollutes air, land and water and exposes workers to toxic chemicals, including carcinogens (cancer causing chemicals). As we have mentioned several times, synthetic plastic does not biodegrade. If dumped in landfill it just sits and accumulates or pollutes the environment. 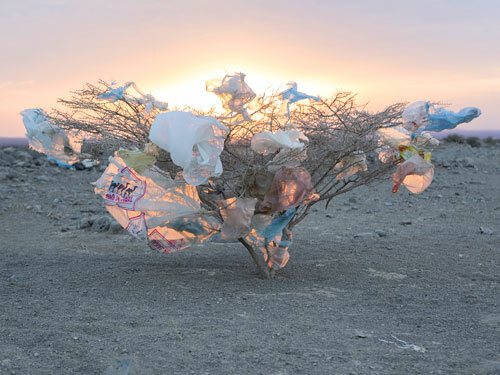 Plastics have become a municipal waste nightmare, prompting local governments all over the world to implement plastic bag, and increasingly polystyrene bans – hooray! Plastics now appear as pollutants in oceans across the world. Macroscopic pieces are anything larger than 5mm. Plastics appear as pollutants in the aqueous environment in various forms, the most commonly known are macroscopic pieces, microbeads and micro-plastic fibres. Plastic is referred to as macroscopic if particles are more than 5 mm. Found especially in the aquatic environment, macroscopic plastic can be dumped, blown or washed into our oceans. Plastic bags in particular pose a serious danger to larger organisms. Microbeads are manufactured solid plastic particles of less than one millimetre. They are most frequently made of polyethylene but can be made of other petrochemical plastics such as polypropylene and polystyrene. They are used in exfoliating personal care products, toothpastes and in biomedical and health-science research. Microbeads are washed down our sinks and find their way to rivers and eventually the sea where they can cause plastic particle water pollution and pose an environmental hazard for aquatic animals in freshwater and ocean water. Thankfully America and UK have now banned the use of these products, however there is still a huge residual reservoir of beads in the environment and many countries have not yet banned them. 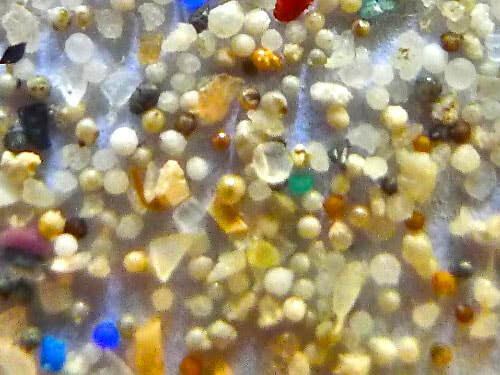 Microbeads are washed down our sinks and eventually the sea where they cause plastic particle water pollution. Synthetic clothing materials are made from micro-plastic fibres woven together. When we wash these clothes, hundreds of thousands of the fibres are shed into our water system and they eventually end up in our seas in vast volumes. These fibres are tiny – 0.000015m in diameter and 6mm long. They cause a huge problem for organisms at planktonic level in our seas and from this level make their way up the food chain, eventually to us. Plastic pollution in our oceans is on a global scale, in just 100 years, we have succeeded in polluting every single part of our planet. In 2011 it was estimated that there were 5.25 trillion particles of plastic in our seas and within 30 years the mass of plastic will be greater than the entire biomass of plants and organisms living in the oceans. Many of us are now aware of the vast plastic garbage patch in the Pacific ocean, but similar problems are present in every other ocean as well. These mass concentrations of plastic are caused by gyres. A gyre is a rotating ocean current which as it slowly turns pushes marine debris particles such as plastics, chemical sludge and other rubbish towards it’s centre. 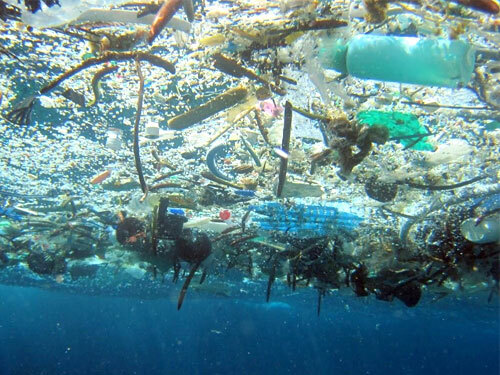 The area of this pollution in the Northern Pacific where plastic is at least 5.1mg / cubic metre throughout the water column is thought to be anything from 700,000 to 15,000,000 square kilometres. On the whole these plastic pieces are at microscopic level so we do not even see them – it is east to adopt an ‘out of sight out of mind’ attitude to this problem! 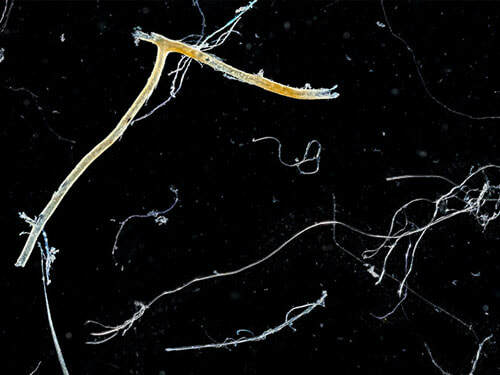 When we wash clothes, hundreds of thousands of micro-fibres are shed, eventually ending up in our seas in vast volumes. In just 100 years, we have succeeded in polluting every single part of our planet. ​The State University of New York in Fredonia tested many major brands of bottled water and found that nearly all of them contained tiny particles of plastic. 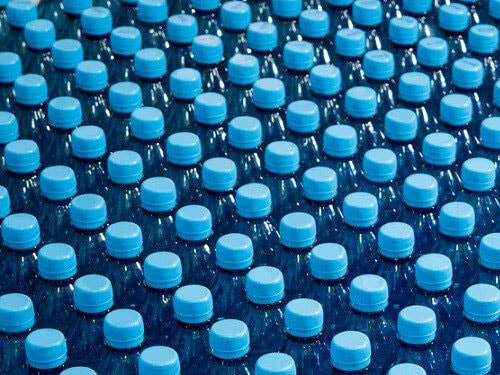 The research, based on analysis of 250 bottles from 9 different countries, discovered an average of 10 plastic particles per litre, each larger than the width of a human hair. No-one knows what the long term effects on human health will be, but the discovery is a worrying development.